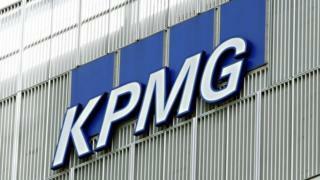 Professional services firm KPMG has announced plans to create up to 400 jobs over the next three years in Glasgow. The posts will be based at KPMG's new managed services hub - only its second in the UK. The company said 200 jobs would be created in the short term, with 50 already in place and a further 150 starting in June. Up to 200 more jobs are expected as it increases operations in Scotland. Roles will include data gatherers, analysts and managers. Apprentices and graduates will also be taken on, as well as experienced professionals. The hub will be based alongside KPMG's tax centre of excellence in St Vincent Street, where the firm has taken up an additional two floors. The team will carry out due diligence processing and large-scale data analysis for customers, including handling regulatory requirements, complaints handling and customer remediation. KPMG said the decision to open the hub in Glasgow had been underpinned by the firm's "recognition of the depth of talent in Scotland". Catherine Burnet, senior partner for KPMG in Scotland, said: "Managed services will play a key role in the firm's growth in Scotland. KPMG currently has about 1,050 staff in Scotland.